So I have awesome professors who let me borrow these cool toys to play around with in the name of research. I have what I think is a discontinued PicoCricket kit that I’m going to play with this week. 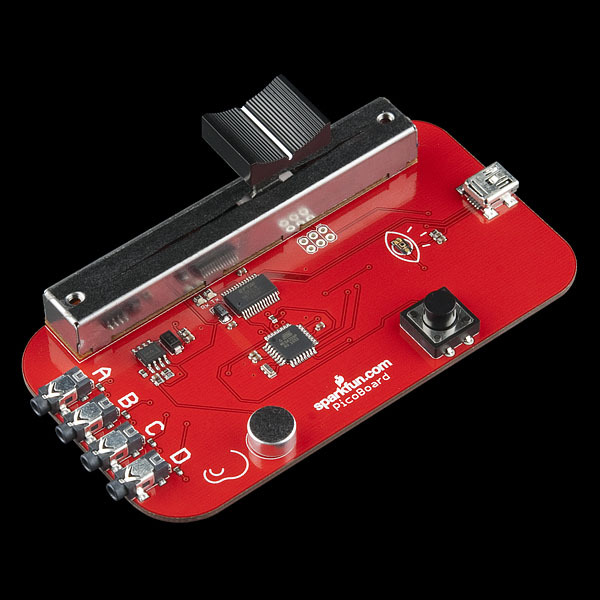 What’s interesting is that PICO is now selling the PicoBoard (above) instead of the board design that’s on their site. This one looks nothing like what is in the kit. I’m really curious about the story behind this thing and why it didn’t work out. I’m interested to check out a bunch of these boards and see if one of them will work particularly well for the kinds of projects I have in mind. Simplicity is going to be the goal here.